A bakery engineer drove off with a taxi when the cabbie took him to the police station to report his “bizarre” behaviour, a court heard. Peter James Devenney (41) struck when the driver, who he thought had taken his wallet, left the engine of the vehicle running and went into Burnley station. The vehicle, which had a tracker fitted, was found not far away. Devenney was nowhere to be seen, but was arrested later after he went into the cab office to get his wallet and beanie hat back. 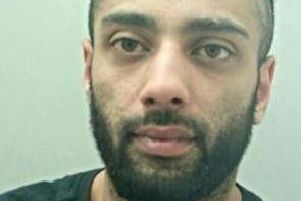 The town’s magistrates were told how the defendant, who earns about £700-a-week, working up to 100 hours, was said by the cabbie to be drunk. Devenney claimed he wasn’t and that he had had two cans of lager before the 7pm trouble. Devenney, of Bowland Avenue, Burnley, admitted taking a vehicle without the owner’s consent, on February 6th. The father-of-four, in breach of a conditional discharge for a similar offence, was fined £1,000, with a £100 victim surcharge and £85 costs. The taxi had a tracker and police went round the corner and found it parked at traffic lights. Mr David Lawson, defending Devenney, said he wasn’t drunk. He was exchanging friendly banter with the driver, who took his actions the wrong way. The defendant had placed his wallet and hat on the dashboard and they must have fallen down. The solicitor said: “Some hours later, he still believed the taxi driver had his wallet. Mr Lawson said Devenney was the sole provider for the family. His eldest daughter had been accepted to study at Cambridge University. He was a “very skilled” bakery engineer. The solicitor added: “He tells me that this was a one-off and I don’t think there are any real issues to address.